Our company was founded on the principals of ethical business practice in conjunction with the highest level of customer service. 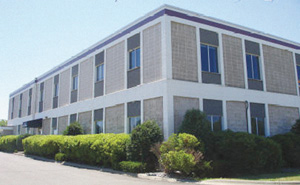 In early 2011 Medicine Lake Extrusions joined forces with Optinova AB based in Finland. Since that time our team has become truly global! We present our customers with the realities of extrusion work from the beginning thus ensuring your expectations are met and your concept becomes a functional reality. Our team is able to achieve this with a long history of medical device experience amongst our staff. 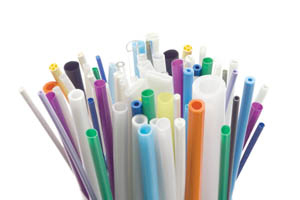 Our experience allows us to assist with single and multi-lumen tubing in a vast array of thermoplastic materials. In the past and currently we produce single and multi-lumen tubing as well as bump tubing, metallic and non-metallic braided tubing, co-extrusions, solid rods, over core and over wire extrusions as well as profile extrusions. In Finland Optinova's wide range of extrusion capabilities have been under development over 40 years. 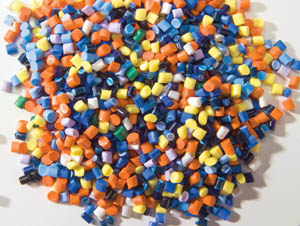 The materials processed range from PTFE paste extrusion, thermoplastic fluoropolymers, thermoplastic polymers and thermoplastic elastomers. The tubing designs offered by Optinova AB provides a wide range of tubing designs such as profile, multi-lumen, multi-layer, cable and coating. All extrusion and secondary tubing operations take place in the 2800m2 clean room of ISO class 6-8 (Fed.std. 1.000-100.000). Optinova AB can also provide secondary operation services such as cutting, hole making, flaring, forming, bonding and assembly work. The production equipment at Optinova AB is of the latest design. We manufacture under cGMP guidelines in a certified clean-room environment with in-process control to ensure the highest consistency and minimum batch-to-batch variation. Full documentation and traceability are always guaranteed. Optinova-MLE is based in Plymouth, MN right in the heart of Medical Device Alley however we work with customers all over the world every day. Whether your team is based in Israel, Turkey, Italy, Germany, Ireland England, Mexico, China, Canada, Brazil, Argentina, Australia or right here in the United States and anywhere in between we are willing and able to assist you. By employing the latest technology our team remains available to you regardless of where we are. Our newly expanded facility includes a new White Room production setting mimicking class 100,000 clean room space and employs a large variety of production equipment to ensure your tubing is consistent, repeatable and in specification each and every time. Our inspection systems use both contact and non-contact measurement systems to ensure this repeatable level of quality. We will work with your team from prototype to full production and be available for you from the start to your goal of a million units this year! Contact us for design, material and pricing information for your custom extrusion. Let us help your device become the next leader in catheter technology by partnering with the Optinova Team! 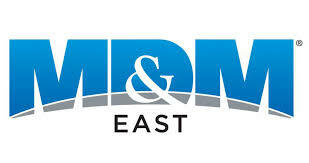 Come see us at MDM East Optinova at MD&M Minneapolis Optinova U.S. is pleased to announce.